“I am a Pottermore Hufflepuff. And I have to say… Jo… come on.” – Eric Scull, MuggleCast #252. When I tell my friends that I am a Hufflepuff, I usually receive responses like “Hufflepuff… really?”. In the early days when I was 11, I would take fan-made quizzes and usually differ between Ravenclaw and Hufflepuff. At the time, I couldn’t decide for myself where I was better suited, and I relied on these quizzes to decide for me. However, as I grew older and read all the books, I knew. I knew without the need for a quiz. Yes, I could’ve been the best in my class at primary school. Yes, I could’ve been the one who whizzed through all the work in high school. But I wasn’t a Ravenclaw. I was a Hufflepuff, through and through. I’ve known that for at least the last six years, and Pottermore recently confirmed it. Students belonging to Hufflepuff are generally considered to be hard working, honest and friendly. We value patience, fair play and above all, loyalty. What’s not to like? All in all, some wonderful qualities not to be taken for granted. There is a view shared by many that Hufflepuffs aren’t as competitive as the other houses, which is perhaps true. We may not do as well in House Cup Championships or Quidditch matches, but I don’t think we can judge this on just the seven years of Hogwarts we know from Harry, because let’s face it: Harry is an exceptional Quidditch player; all the Slytherins are on Nimbus 2001 brooms; and it was an exceptional seven years at Hogwarts. Nothing about those years at Hogwarts were ordinary. It should be noted that we don’t always come last, though. We beat Ravenclaw in the 1992-1993 school year (CoS) which means we definitely would have done better in previous years. You can’t tell me in the 1000 years we’ve never won a House Cup, because we have. We just don’t hear about it. Our founder, Helga Hufflepuff, is also to be admired. While other founders took in students based on ambition, bravery or intelligence, Helga accepted “the rest” and treated them equally with kindness and respect. I believe this is especially important when we look at today’s society and the problems that still lie with inequality. She is remembered for her compassion. In PotterCast Episode #130 J.K. Rowling was interviewed and it is discovered that like Hermione, Helga opposed house-elf enslavement and arranged for a group of house-elves to work in the kitchens where they would be safe from mistreatment and abuse. Her gift at food-related charms also sees many of her recipes still used today as a basis for the Hogwarts feasts. A note about “the rest”. Many people use this term as a bad connotation to describe Hufflepuff students. The brave, the ambitious, the wise and “all the rest”. This shouldn’t be a bad thing. Obviously, these aren’t the only qualities associated with students from these houses, these are just the main ones. If you sat down, and you took a look at all the traits for all the houses, how many friends do you know that could honestly be considered as the brave heart of Gryffindor? How many people do you know like a [young] Neville, who cowers in front of bullies and struggles to succeed in every day life? Let us remember that during his sorting, Neville wanted to be a Hufflepuff. He asked the Sorting Hat to place him in Hufflepuff. He was intimidated by Gryffindor’s reputation. The Sorting Hat obviously won out in the end, and we know Neville did live up to the qualities of a true Gryffindor, but how many other Hufflepuffs do you suppose held the same fear and anxieties? How could this have impacted on their sorting? There are no solid barriers between the four houses. Just because you’re doing a Law degree doesn’t mean you have to be a Ravenclaw. The personality traits seen in the four houses are merely guides, and all of these qualities overlap. We know from Pottermore that McGonagall and Flitwick could easily be standing in each other’s spot. We know that Hermione can flunk any Ravenclaw in an exam. We know that Snape went against everything he knew for love. He could’ve been a Gryffindor. Cedric could have been a Gryffindor. But it is our choices that show what we truly are, far more than our abilities. Hufflepuff is the only house to have a repelling device for would-be intruders into their common room. Hufflepuff has produced the fewest amount of dark wizards than any other house. Hufflepuff is second only to Gryffindor in the amount of students that stayed behind to fight in the Battle of Hogwarts. And that in itself should be enough to make you think twice. As we all know, Hufflepuff’s emblem is a Badger. As quoted from Pottermore’s welcome letter: “…an animal that is often underestimated, because it lives quietly until attacked, but which, when provoked, can fight off animals much larger than itself, including wolves. We don’t shoot our mouths off, but cross us at your peril; like our emblem, the badger, we will protect ourselves, our friends and our families against all-comers. Nobody intimidates us.” These are some powerful words. It is reiterated 3 times throughout the welcome letter. We know how to defend ourselves (against our criticism, maybe?). We showed ourselves in the Battle of Hogwarts. The Crazy Nastyass Honey Badger is a humorous Youtube video which went viral early last year, with the famous quote “Honey Badger don’t care. Honey Badger don’t give a s***”. It is a quote often seen around Hufflepuff pages and I haven’t yet decided if this is a good thing. It’s a joke, it’s meant to be funny, it is. Hufflepuffs accept it. Hufflepuffs don’t care that we are associated to this crazy video because we love having the Badger as our emblem. However, the joke turns on Hufflepuffs, and I worry that sometimes this gives us a negative perception because we do care. The famous quotes from A Very Potter Musical, “What the hell is a Hufflepuff?” and “Hufflepuffs are particularly good finders”, are hilarious in context. But so often we aren’t taken seriously. We are the house that is laughed at and made fun of, the “extra” house nobody in their rightful mind would want to be in. If I may suggest another Badger to associate our house with, it would be one conveniently named Badger. Badger was a main character in an animated children’s series which aired in the early 1990s, titled The Animals of Farthing Wood. It was based on a book series written by Colin Dann. It followed the story of a group of animals on a journey to a protected nature reserve after being forced to flee their homes due to habitat destruction. Badger is one of the most well respected and loved members in the group and often times acts as a partial leader. 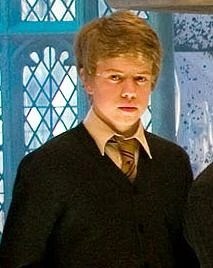 Species aside, he clearly shows Hufflepuff qualities. He has a close friendship with a Mole and takes care of him when others say he is too slow. He fears most when others go missing, and fights to keep the group together, acting as peacemaker when others argue. He sticks by the group with his loyalty and often comes to the aid of smaller animals. He is always ready to fight alongside his friends in order to ensure their protection, and accepts them all – bird, snake or fox. Unfortunately, I don’t think the Hufflepuff house is shown in the best light in the series. I believe there are three prominent Hufflepuffs – Nymphadora Tonks, Zacharias Smith and Cedric Diggory. The problem with this is: it is not widely known that Tonks was a Hufflepuff as it was never mentioned in the books, only on J.K. Rowling’s website; Zacharias comes across as unlikeable; and the one Hufflepuff we knew and had pride for was killed off. When you think about it, there is a lot of tension and conflict between Harry’s house of Gryffindor and the Hufflepuffs in books 2, 4 and 5. Namely the event of Justin Finch-Fletchley being petrified, Harry being the rival champion who “cheated” his way in, and nobody knowing the full circumstances of Cedric’s death. As such, we hear even less about the Hufflepuff house than we perhaps could have. Because we are such a close-knit house that sticks by one another and defends ourselves, we don’t necessarily hear the Hufflepuff story as loudly as we hear that of the other houses. Let’s take a closer look at some of our members. As head of Hufflepuff house, Pomona Sprout is also Head of the Herbology department at Hogwarts, having excelled at Herbology in her youth. She was a dedicated teacher and continued to teach well past the Second Wizarding War, until her retirement. We know that her growth of Mandrakes helped to restore all those who had been petrified in Harry’s second year, and she helped lead a group of students up to the Astronomy Tower to fight in the Battle of Hogwarts. She also used to decorate the house common room with interesting plants from the Greenhouses, including ones that could talk and dance, which indicates that she is cheerful, fun-loving and sharing in her nature. She also has a sense of humor, and an unspoken pride for Hufflepuffs. From Pottermore, 3rd year Hufflepuff Gabriel Truman, once got into a duel with a Ravenclaw prefect, arguing over which house the famous Arithmancer, Bridget Wenlock, had come from. It was Hufflepuff. Professor Sprout let him off with a warning and a box of coconut ice, which I think is her way of saying YOU TELL THEM! She also comforted Cedric Diggory’s parents after his death, and never once questioned the word of Dumbledore or Harry that Lord Voldemort had returned. She shows a huge amount of bravery and intense loyalty in the Battle of Hogwarts, having immediately sought to provide whatever assistance she could, and helped to treat wounded fighters in the Great Hall. She is a proud Hufflepuff. 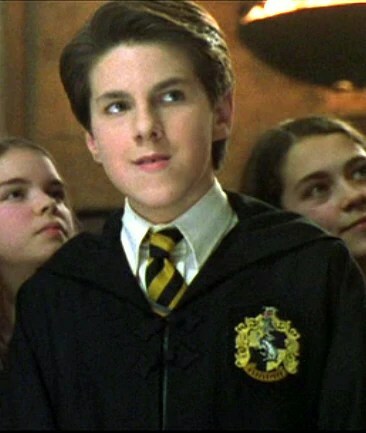 Cedric is the most well-known Hufflepuff in the series. He is a seeker, prefect, and of course, Triwizard Champion. He embodies all the qualities of a Hufflepuff and is highly academic. He also had an ash wand, 12 1/4 inches. If we examine the new wand wood information from Pottermore: “…witches and wizards best suited to ash wands are not, in my [Ollivander’s] experience, lightly swayed from their beliefs or purposes. 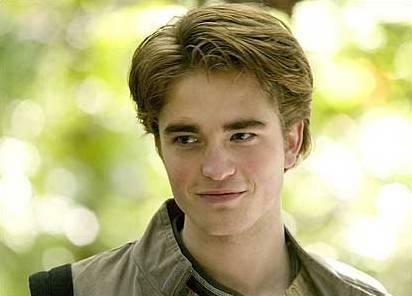 The ideal owner may be stubborn, and will certainly be courageous, but never crass or arrogant.” Is this true of Cedric? I think so. He certainly shows himself as courageous in the Triwizard Tournament, and we never see him in disagreement with others. He is polite, modest and cautious, having doubted at first whether Harry put his own name into the Goblet, and later in the Graveyard having recommended they proceed with wands out. He is smart and sensitive of others, and asked his friends not to wear the Potter Stinks badges, despite the fact they were showing their support. I will also go out on a limb here and say I think it is interesting to note that when Cedric comes back as an “echo” the only thing he says is a request to take his body back to his parents. In that short moment between his death and Prior Incantatem, one could say that he has accepted his fate, despite being so young and his death being so sudden – he was killed before they really knew what was going on. Even in death, he still puts the needs of others (his parents) ahead of him, and he encouraged Harry by telling him to hold on. He is a proud Hufflepuff. Ernie is seen on good terms with all of his Hufflepuff friends and while he initially suspected Harry as the Heir of Slytherin, he accepts the truth after Hermione is petrified and he makes a public apology. During this time though, he sticks up for muggle-born, Justin Finch Fletchley, advising him to hide in their dormitory and warning the other Hufflepuffs to be careful around Harry. This highlights the strong friendships he has with his classmates, and it is his belief at the time that cause some tension between the Hufflepuffs and Gryffindors. However, the fact he apologises for this afterwards, and is seen as making an effort to befriend Harry again, speaks highly of his character and his inner motives. He continues on as a prefect and is very academically-minded, having studied at least eight hours a day in the lead up to their O.W.L examinations. He was also a member of Dumbledore’s Army, and believed it to be one of the most important things they would do in that year. In his final year, he continued to show his support for Dumbledore’s Army, presumably helping to paint rebellious phrases on the wall and free students from detentions and beatings. In the Battle of Hogwarts, Ernie makes us proud. When prefects are instructed by Professor McGonagall to lead their houses to evacuation points, he asks “And what if we want to stay and fight?”, to which he is applauded. He fights alongside Luna and Seamus, aiding the trio with their patronuses. He is brave, intelligent, and never afraid to speak his mind. He is a proud Hufflepuff. Justin is outgoing, friendly and hard-working. As a muggle-born, his parents had been ready to send him to a prestigious public school in England – Eton – indicating that he was probably wealthy and academically-minded. He introduces himself to Harry in their first ever Herbology lesson, giving kind remarks to the trio; however, because he was impressed with Gilderoy Lockhart, Ron considered him an “idiot”. He also believed the rumors that Harry was the Heir of Slytherin, and being a muggle-born kept well away from him, particularly after the incident in Duelling Club where Harry speaks parseltongue to a snake that is trying to attack him. This is only understandable, as we know he is later targeted as a muggle-born and petrified. After he is revived with the Mandrake Restorative Drought, he comes over to Harry and apologises for suspecting him. The two get on well after this and he joined Dumbledore’s Army. At the end of their fifth year on the way back to London on the Hogwarts Express, he among with Ernie, Hannah, Susan, Anthony and Terry, came to Harry’s aid after the Slytherins try to attack him, resulting in three gigantic transfigured slugs which they hoisted into the luggage rack. As a muggle-born, he would not have attended Hogwarts in his final year, and his outcome is unknown. 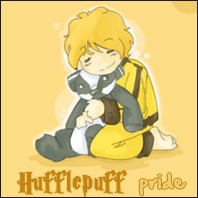 He is a proud Hufflepuff. Zacharias, interestingly, opposes the common qualities of a Hufflepuff. He is selfish, disloyal and insensitive, although this might be different amongst those of his own house. While he is a member of Dumbledore’s Army, he doesn’t fully believe Harry’s story. He is more skeptical than the others and continually criticizing, although he remains hard-working in Dumbledore’s Army. However, he is last seen bowling over first years and fleeing the Battle of Hogwarts, indicating that he probably didn’t rejoin Dumbledore’s Army in his final year. I think Zacharias’ unlikable character just goes to show that not everyone in every house is going to exhibit the well-acclaimed traits of that house. I mean, Lockhart, who was completely clueless and stole credit for what other wizards had done, was a Ravenclaw. I think Zacharias’ character shows that not all Hufflepuffs are going to be the goody-two-shoes. We aren’t just a body of other students that sit in a corner and accept everything as it comes. We can be independent and we can be different and we can be outspoken and we can be totally comfortable with that. He fled. Many people did. He wasn’t brave, but he wasn’t a Gryffindor, he was a Hufflepuff. And while the above characters have shown their utter bravery, his character shows more of the – say, stupidity – that is wrongly afflicted with Hufflepuff house. He is just one person in a whole mass of Hufflepuffs, and I think if anything he remains true and honest to himself. He might be capable of fighting, but he is a coward and he is determined not to. He makes that decision, and he sticks by it, not caring what anyone else says or thinks about him, and I believe, yes. He is still proud to be a Hufflepuff. Despite being in separate houses, Leanne became close friends with Gryffindor, Katie Bell. When they left The Three Broomsticks together in their sixth year, Leanne’s concerns over the package and its origins were evident in their argument over it shortly before Katie accidentally touches the cursed necklace within. She becomes very distraught, but is right by Katie’s side when she returns to Hogwarts. While it is unknown whether she joined Dumbledore’s Army in their fifth year, she was present in the reformed Dumbledore’s Army in her seventh year and fought in the Battle of Hogwarts. It should be noted that her house was never confirmed in the books, although her loyalty and friendship places her fittingly into Hufflepuff. She is a proud Hufflepuff. You can’t tell me Tonks doesn’t share the traits of a Gryffindor or a Ravenclaw, and I think many people originally jump to this conclusion. She’s this amazing Auror and member of the Order, so she has to be Gryffindor. Alas, this is not so. Like others we know in the series – James, for instance – she lacked a certain ability to behave herself in school. However, she was a very talented witch and would have needed a minimum of five N.E.W.Ts across her subjects, including Potions, Transfiguration, Charms and Defence Against the Dark Arts, before she could even be considered for the Auror training program. She was the last person to become a fully trained Auror before Harry was accepted and the requirements lessened, which speaks to her skill and determination. We all know of her undying loyalty to Lupin, despite him insisting that he wasn’t good for her, and she fought for that love and she won, resulting in the birth of the Teddy Lupin, so-named after her father who was killed by Snatchers. We all know that love was cruelly cut short, but she was there right ’til the end. She was brave, dependable and and selfless, always willing to put her life on the line as an Auror and supporter of the Order. She is a bloody proud Hufflepuff. As released on Pottermore, J.K. Rowling states: “When I first planned the series, I expected Harry to visit all four house common rooms during his time at Hogwarts. There came a point when I realised that there was never going to be a valid reason to enter the Hufflepuff room.” There’s been some known comments about this upsetting people. It shouldn’t. As a writer myself, I know how hard it is to cut scenes from a novel. Even if you’ve written it out beautifully word for word, if it is not working for the story, if it is not essential to the story, it needs cutting. It’s not always an easy decision to make, but more often then not it helps to tighten the focus of the novel. You shouldn’t keep a scene just for the sake of it being there – oh if Harry’s been to 3 common rooms, why not let him into the last one – it doesn’t work. If J.K. Rowling made that decision, it shows she knew what she was doing and I trust her completely. What’s amazing is that she knows her world so inside out, that she can fully flex out a description of how a room looks despite it never appearing in seven novels. We should be grateful that she has shared this rich information with us. I believe another important decision she made was the choice of a Hufflepuff champion in the Triwizard Tournament. Cedric Diggory. I applaud J.K. Rowling for this. The Triwizard Tournament is designed with tasks which judge magical ability. She could easily have picked an ambitious Slytherin, a smart Ravenclaw, even a second Gryffindor to rival Harry, but she chose a Puff. I understand if she was after the tension element, Slytherin would be only too easy. Slytherin house has the most house enemies as seen in Gryffindor vs. Slytherin Quidditch matches, the other houses will almost always support Gryffindor. But why not pick a Ravenclaw who could conjure up any solution to complete the task? Why not pick a bold, 7th year Gryffindor we’ve never heard of to divide the house between 2 champions? Because you don’t need to be in one of the most popular houses to be a champion. You might be in Hufflepuff. So what? That does not mean you don’t show the same amount of bravery or intelligence of the other houses. I cannot stress this enough. Cedric wouldn’t have made it through all three tasks if he didn’t have the brains to do so. Tonks wouldn’t have become an Auror if she couldn’t complete the immense difficulty of training. We must remember that despite being the rival champion, Cedric shared a friendship with Harry that perhaps wouldn’t have existed with someone from another house. We briefly glimpse this in PoA, when Cedric calls for a rematch during Quidditch after he learns that Harry has fallen off his broom. His fair play attitude. This is expanded upon in GoF as we all know. He shows his sympathy for Harry, he points him in the right direction about his egg, and he saves his life, fighting together to defeat an Acromantula inside the maze. If Cedric isn’t a true example of what it means to be a Hufflepuff, I don’t know who is. If Tonks can be a Hufflepuff, so can anyone else. If they don’t make you proud, no one will. It is a known fact that users on Pottermore from all houses are abandoning their accounts after taking the Sorting Hat quiz and creating new ones in the hopes of getting a different house. It is also a known fact that there are more recordings of this happening in Hufflepuff than in any other house. I believe the number of members in each house is a gross representation of the true number. How many of these accounts are abandoned? How many of these accounts have been inactive after the first two weeks and have earned less than ten points? As such there is no way to determine how many users are actively participating in earning house points. Ultimately, this means houses differing in points by thousands. It doesn’t matter if there are ten people in each group, if not all ten people are putting in the effort, the others will have to work two and three times as hard to reach the same goals the others are reaching quicker with the ten people. I’m not saying this is just Hufflepuff, it’s happening with all of the houses. However, irrelevant of the numbers indicated on Pottermore, Hufflepuff remains the least popular house. Which perhaps wouldn’t be so bad if you were working with 10 people in each group, but we’re talking a near 700,000 members in each house, and when you have a couple of thousand people not putting in the effort, it’s going to weight heavily on the house points. Surprise, surpise, Gryffindor and Slytherin are currently neck and neck. Gryffindor also has some 80,000 members more than Ravenclaw. If each of those additional people earn just ten points, that’s going to make a big difference. Again we can not judge on the size of this due to all the abandoned accounts, but we can deduce that on average, each active individual Hufflepuff is working harder at trying to earn house points and I believe the same thing will occur with myHogwarts as we saw it briefly did with the Championship Trivia. But hey, that’s one of our traits, right? Hard working? Anyone saying we aren’t competitive, judging on our constant last placings, is only kidding themselves. We are. We just lack the numbers. That said, our determination and our companionship shows through on the many Facebook pages and we tend to have a higher number of likes on these pages which help us to rally together our Hufflepuff Army and do what we can. Selenia, MuggleCast Episode #252 quotes: “Those irrelevant Hufflepuffs”; “Jo, she’s not making it easy. I really want to be proud, but…”; “It’s really hard to have house pride, even though we really try.” These are not the words of someone who is trying to have house pride. The episode also goes on to jeer about the entrance to the Hufflepuff Common Room. Quoted from Pottermore: “The complexity or otherwise of the entrance to the common rooms might be said to give a very rough idea of the intellectual reputation of each house: Hufflepuff has an unchanging portal and requires rhythmic tapping…” Let me highlight something for you. REPUTATION. Reputation is a word which hereby means: the beliefs or opinions that are generally held about someone or something. Opinions are different to facts. J.K. Rowling is not implying we lack in intellectual, although some may misinterpret this, and hence form their own opinions about how “uncool” and “stupid” we are. That is not the focus here. It is the symbolism behind our common room’s security. What does it say about us? Rhythm can’t exist without harmony. Is it not part of our nature to supposedly live in harmony with others, in friendship and acceptance? I am not aiming this at MuggleCast – because they are an awesome bunch of people – but there are hundreds of you out there. Yes, I’ll admit, in some cases the Sorting Hat may be wrong. Particularly with a quiz where we don’t know how the answers are tailored with a seemingly random question to throw us off, like whether we would choose the right or left path. However, the vast majority of people complaining about being placed into Hufflepuff are, I think, in denial. I believe some people feel that being sorted gives them certain “proof” that they possess the qualities of that house. I’m in Ravenclaw, so I must be smarter than you. This is wrong. To be sorted means you may possess some qualities of that house. Not necessarily all of them. The same goes for those saying I’m not an evil Slytherin! Not all Slytherins are dark witches and wizards. As discussed, traits are interchangeable between houses. Think Peter Pettigrew. You may not agree with your sorting until twenty years from now. If Hogwarts existed, but the Harry Potter books didn’t, would you still have your prejudices against and your preferences towards certain houses? If you were a muggle-born, walking into Hogwarts for the first time and trying on the Sorting Hat, and you knew next to nothing about the wizarding world, would you not accept the Sorting Hat’s decision, believing that wherever it places you, it must be right? Even Ron, who had five older brothers attend Hogwarts, wasn’t sure exactly what happened in the Sorting Ceremony, and had doubts over whether he would be in Gryffindor. Remember, Sorting is supposed to take place at age 11. A lot of us as readers who have been with the series for ten years, are now in our late teens, twenties and thirties. A lot of us self-sorted ourselves ten years ago, or via fan quizzes, and it’s the only house we’ve known (so to speak) in all that time. Particularly those of us who were sorted at a young age, at a time when we are perhaps impressionable, and awed by Harry and the Gryffindors, we may toss houses like Hufflepuff and Slytherin aside because they are seen as insignificant or just big bad bullies. Like Neville, we might be intimidated by the other houses and underestimate ourselves, thinking we only belong in Hufflepuff and then are surprised when we find ourselves sorted into a different house. Being a Hufflepuff shouldn’t be a burden. You should be proud. Perhaps if we had more of those people that would stop lying to themselves and just admit that they’re a Hufflepuff, to accept instead of ridicule it, we would get somewhere. J.K. Rowling (self sorted, source). James and Oliver Phelps (Harry Potter Spells iPhone app, source). Benedict Clarke [young Severus Snape] (Pottermore, source). To read the Hufflepuff welcome letter as seen on Pottermore, click here. To read J.K. Rowling on the Hufflepuff Common Room as seen on Pottermore, click here. This is quite the read, but it’s definetely worth it, you make some very valid points! Thank you 🙂 I appreciate you taking the time to read it. Beautifully written 🙂 I like how you went through and described all of the different strengths and unappreciated characters. One important typo I noticed: In the last paragraph of “Pottermore”: Again we can not judge on the size of this due to all the abandoned accounts, but we can (seduce) that on average.. I love being a hufflepuff! Im most defiantly made fun of for it, but i care not! Proud to wear my gold and black! !